Yes, I know this toy is making your 80's Baby heart go, pitter-patter. It's because this iconic loveable interactive storytelling bear from the 80s is being magically brought back to life this year by Wicked Cool Toys! 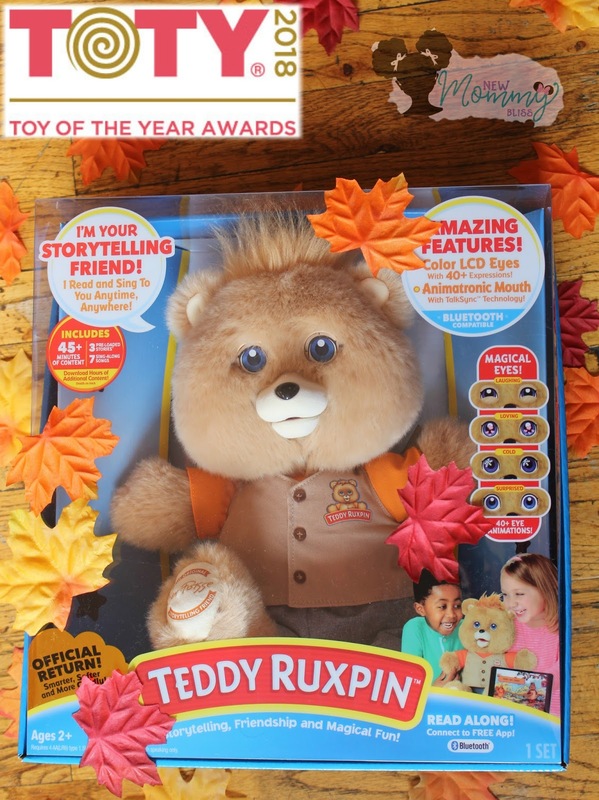 Teddy Ruxpin has also made it into the Nominees of This Year's TOTY Toy Of The Year Awards! NO WiFi REQUIRED! Yep, That's right! You kids are able to enjoy Teddy Ruxpin anywhere they go. 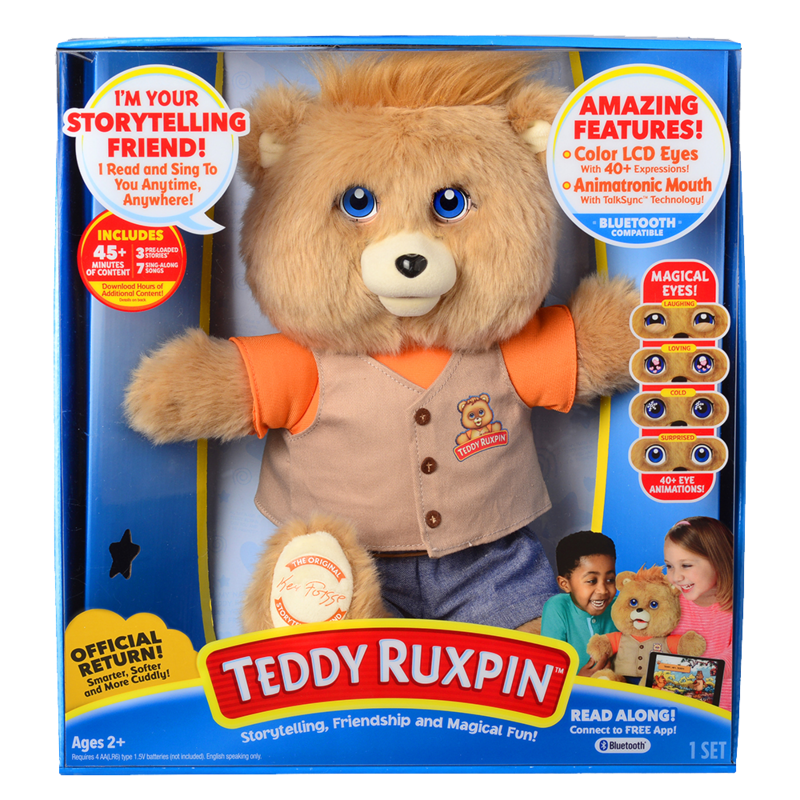 Whether in the car, at the playground or in an airplane, Teddy Ruxpin will bring the kids joy, happiness, Literacy Comprehension, and even vocabulary! He features an animatronics mouth that is lip-synched with the stories and songs, making it feel like Teddy is alive! The mechanical mouth motor is noticeable but not as loud as it was on the Original Teddy Ruxpin. 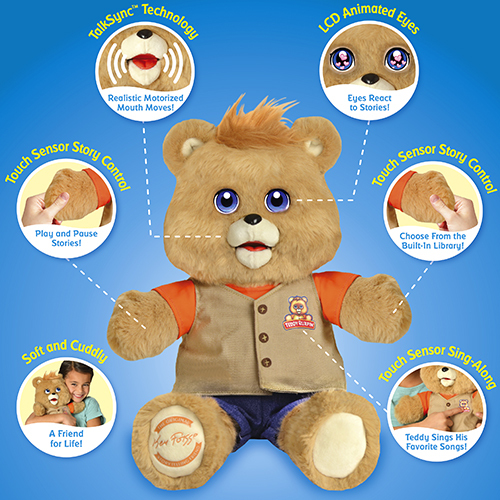 Kid-friendly touch sensors in his hands and chest are there to help control Teddy’s actions. Bedtime Stories will never be the same again for the little ones of today. Many complaints I've heard about the toy is just about the amount of content it brings to the $100 price mark. Personally, the stories are great and though it is a recreation of a classic, You get a LIGHTER plush toy with current technology animations. Therefore, the value of the product isn't just determined on what it brings in the box, but what changes and new pros that have been made.